PayPal has reached a settlement with the US Treasury Department over charges that it processed payments to people in countries under sanction. In addition to this, it had also unwittingly processed payments to a man that the US has listed as known to be selling black market nuclear weapons. The settlement will see PayPal paying out some US$7.7 million (about RM28 million) for processing payments to persons in countries like Cuba, Iran, and Sudan. The 500 or so transactions to these countries were only worth about US$40,000 (about RM147,000); but it looks like the US government is taking international economic sanctions very seriously. PayPal implements an automated process that scans all potential transactions for sanction related keywords, although it looks like more than a few people have managed to fall through the net. One of the most prominent people who managed to use PayPal without problems was Kursad Zafer Cire, a Turkish man on the US State Department’s list of Weapons of Mass Destruction proliferators. 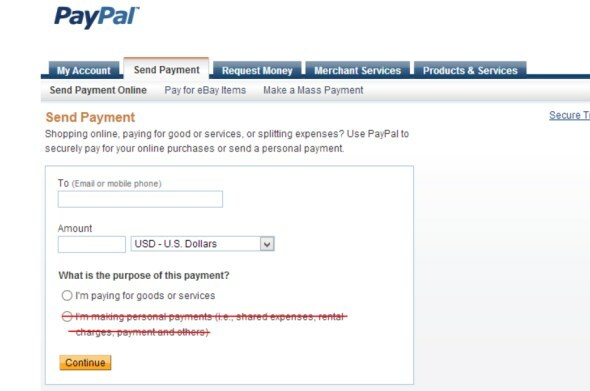 Cire managed to conduct some seven transactions through PayPal before the system flagged him and blocked his account. However, it is extremely unlikely that he was using PayPal to actually sell materials for nuclear weapons, because it would be silly to ask someone to wire money over PayPal in exchange for chunks of weapons grade uranium. PayPal has had its share of problem with transactions, as it had previously frozen crowd-funded assets for no particular reason (only to reverse the decision later) and generally makes it very difficult for legitimate users to get their money back. However, that now pales in comparison with breaching US sanctions.